Skincare is something that I firmly believe everyone should invest their money into - it's all well buying expensive luxury makeup but if your skin is not at it's best then the makeup won't apply as seamlessly as it should. Therefore, treating Mum to some cult skincare products will be a treat that she will enjoy for months to come and may even get her into investing in luxury skincare products in the future. Something that my Mum absolutely loves is the L'Occitane Immortelle Divine Cream. If you are worried about the reaction you might get from your Mum if you give her an 'anti-ageing' product then don't worry as it does so much more than just reducing the signs of ageing. It helps to nourish the skin, protect from harmful UV rays, firms the skin, reduces the appearance of uneven skin tones to reveal a more radiant complexion as well as reducing the appearance of fine lines and wrinkles. This will help to leave your Mum's skin looking radiant and more youthful! 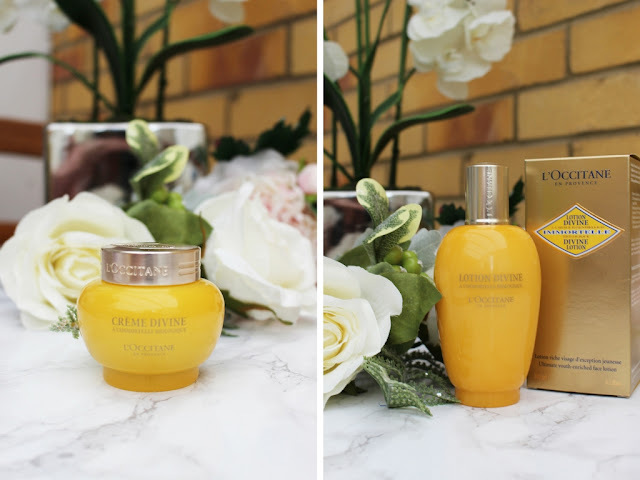 Another product from the same range is the L'Occitane Immortelle Divine Lotion. 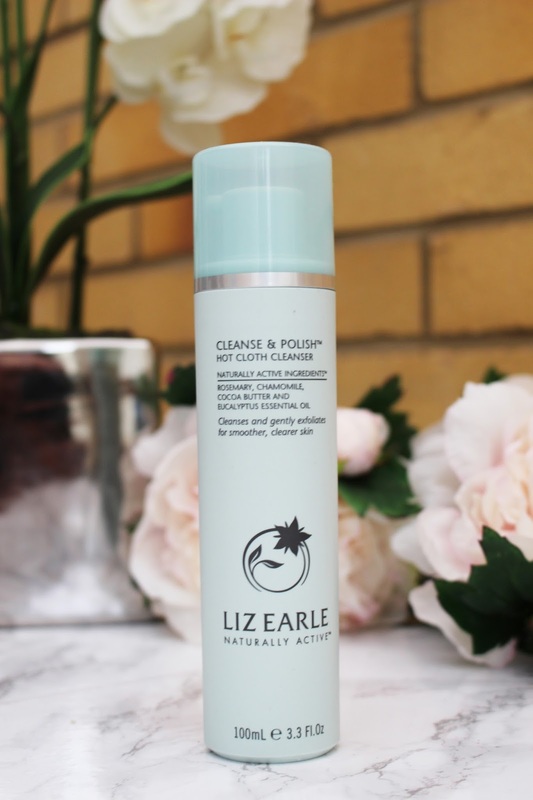 This is more of an anti-ageing toner that helps to prepare the skin to receive the action of daily skincare products and optimises the benefits of other skincare products that your Mum will use on a daily basis. This will leave the skin looking beautiful and will give a younger-looking complexion. With its rich texture and subtle, aromatic scent of fresh Immortelle flowers, this lotion will leave your Mum's skin with an immediate sensation of comfort, whilst smoothing and firming the skin as well. An iconic woman deserves iconic beauty! 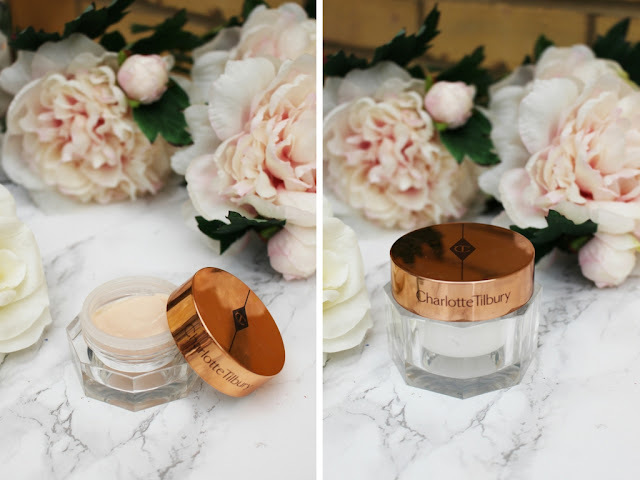 So why not treat her to something that is well loved by Bloggers, looks amazing on a dressing table and really works - therefore my choice of skincare would be anything from Charlotte Tilbury. A more subtle anti-ageing product is Charlotte Tilbury's Magic Eye Rescue Cream. With its main focus on reinvigorating the eye area, this rich but delicate eye cream gives the care and attention that thinner skin around the eye really needs; as well as having anti-ageing properties, it reduces puffiness, smoothes the skin and refreshes the eye area ready for makeup to be applied on top. Just because this is a type of anti-ageing product, any age can use this (whether its 18 or 80) and I use it even though I am 21 to help prevent ageing occurring around the eyes plus it leaves the eye area looking more refreshed and brighter. Another product that is well loved by both Mum and I is Charlotte Tilbury's "Charlotte's Magic Cream". If you are worried about offending your Mum by giving her a moisturiser that is predominantly an anti-ageing cream, then Charlotte's Magic Cream is the perfect option (as anti-ageing is only one of the properties that this cream helps to prevent). Even though it is anti-ageing, that is not the only key aspect and I use it every single day, as does my Mum. It has a hyaluronic acid booster which helps to lift and flood the skin with moisture, whilst cheating the appearance of eight hours sleep by plumping the skin and leaving it glowing and looking more youthful instantly. one of the most affordable skincare products I have included, costing under £15 and is loved by so many people. This is a rich and creamy cleansing cream, and will quickly remove daily oils that build up on the skin and makeup (it will even remove that stubborn makeup that is so hard to remove) leaving the skin clean, soft and radiant. Not only that but it can be used by all skin types and is even great for people who have sensitive and dry skin. With purifying oils, toning rosemary and soothing chamomile and cocoa butter, it will leave the skin feeling fresh, clean, glowing and radiant. 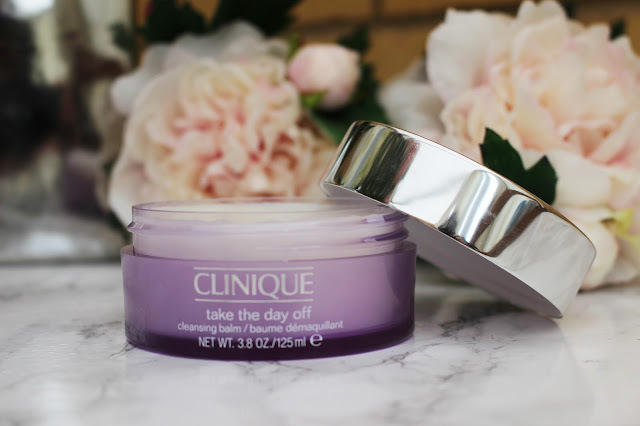 Another great product to gift Mum this Mother's Day is the Clinique Take The Day Off Cleansing Balm. This is a lightweight cleansing balm that transforms instantly from a solid balm to a silky, fluid oil upon application to quickly dissolve stubborn eye and face makeup. It is perfect for all skin types and makes taking off makeup easy and more enjoyable. It doesn't leave the skin feeling greasy and won't dry out the skin either, making it the perfect gift for Mums who have oily or dry skin. This cleansing balm would be amazing in a hamper of other pampering gifts, like face masks, bath bombs, other skincare products, a bottle of wine and a box of chocolates. Definitely a great way to pamper your Mum this Sunday! The final luxury skincare product in this Gift Guide is the GlamGlow Gravitymud Firming Treatment Mask. 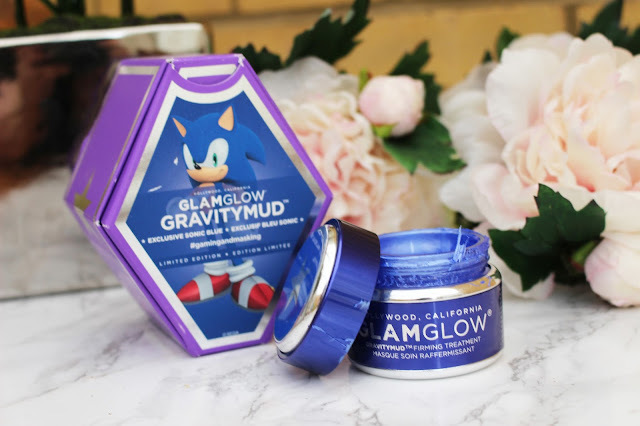 In the photo I have the Limited Edition Sonic the Hedgehog version of Gravitymud (that GlamGlow released in the UK earlier this month, however is no longer in stock). However, they do still sell the original GlamGlow Gravitymud Firming Treatment Mask, and the only difference between the one I have and the original is the colour of the mask itself and the the colour of the packaging - apart from that they are exactly the same! This is an affordable revolutionary peel off mud treatment mask (especially when you work out how many masks you can get from each pot). Instantly leaving the skin feeling firmer and more lifted, this is one of my Mum's favourite masks from GlamGlow. This mask really does work and I usually find I can get 15-20 applications from each pot - making it worth the £39 price tag. Also it smells amazing and I think it Pina Colada (pineapple and coconut), which is just the best scent in the world. This is perfect for Mums of all ages as it will help to firm and lift the skin, plus it is a great way for your Mum to pamper themselves this Sunday! It is like going to the spa to have a face mask without having to leave the comfort of your own home! There are other face masks that have different properties to them and target different areas; any of the others would be suitable for Mums especially the Youthmud or the Supermud treatment mask! Everyone loves luxury makeup; whether it is foundation, eyeshadow palettes or lipstick - luxury makeup always looks beautiful whether it is on the face or displayed on a dressing table. But sometimes it can be daunting to know what makeup is best suited for our Mums as we don't want to buy them something that is aimed for someone who is in their early 20's. One product that will be loved by any Mum of any age is the Charlotte Tilbury Instant Look In A Palette. If you are struggling to know what to buy your Mum for Mother's Day in terms of makeup then this palette really has it all and you don't have to worry about buying the right individual products that will work well together. In this palette there are three eyeshadows, a bronzer, two blushers and a highlighter - all of them compliment each other and create a beautiful overall look (all that would have to be added is foundation, mascara and lipstick). The Natural Beauty Palette is probably the safest colour option to choose, however if your Mum loves a more dramatic smokey eye then the Seductive Beauty might be a better option. 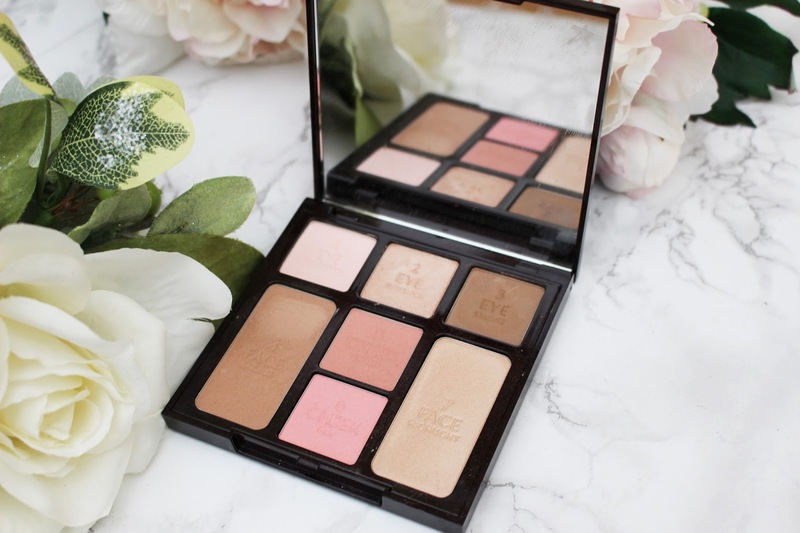 This palette is stunning and all of the products work so well on the skin and will give your Mum an instantly flawless makeup look. A foundation is sometimes the hardest things to find for someone else - not only do you have to think about what type of skin your Mum has, what coverage they prefer, but you also have to think about what shade they are. However if you know what shade they are then these two foundations are perfect choices for your Mum this Mother's Day. 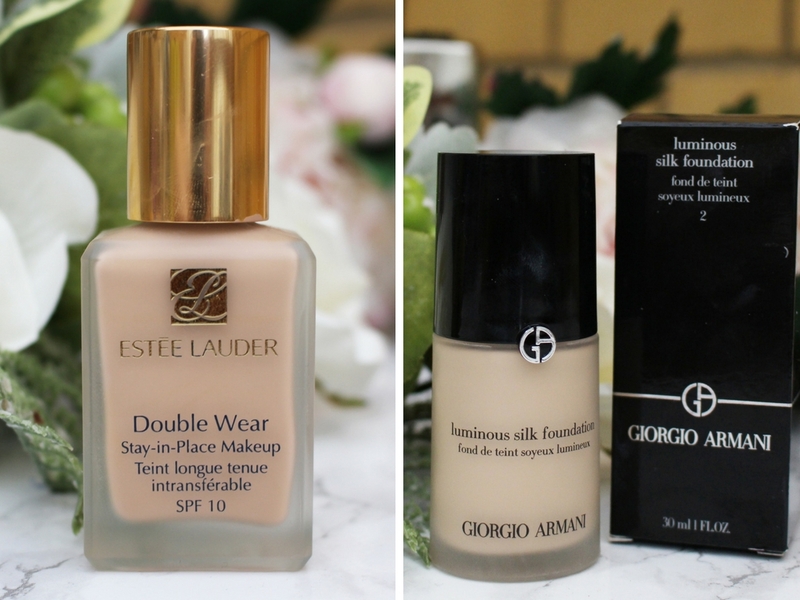 Firstly the Estee Lauder 'Double Wear Stay in Place' Liquid Foundation is one of the most popular foundations for any Mum, and it is the one that my Mum wears every single day. This is a long wearing foundation which is easy to apply and creates a flawless and natural finish. It feels lightweight and comfortable and provides a medium coverage which can be built up into a more full coverage foundation. Perfect for any age but especially a Mum who is slightly older as it is so easy to apply and doesn't accentuate any fine lines and will leave the skin looking radiant and more youthful. The second foundation that would be perfect for any Mum this Mother's Day is the Giorgio Armani's 'Luminous Silk' Foundation. This is another great option for Mums as it is so easy to apply and is a silky, lightweight fluid foundation that creates a flawless look every single time. Every time I use this foundation my skin is left with a beautiful glow and looks perfect. This foundation can be used by all skin types, as it is oil free - therefore you don't have to worry about what skin type your Mum has. Its lightweight and silky texture means that it will glide on the skin seamlessly for an all day, build able coverage. Although it is a bit more expensive at £40 but if you are to make the splurge on any luxury makeup then this foundation is the one to buy for your Mum as it builds a flawless foundation for the skin and all makeup applies so beautifully over the top. If you really want to treat your Mum to a luxury piece of makeup, then something from Hourglass is always a great choice. Hourglass has the most beautiful packaging, which always looks beautiful displayed on a dressing table, but the products themselves are the most amazing quality makeup products that I have ever tried. If you are to buy one product for your Mum from the Hourglass brand then I would recommend the Ambient Lighting Blush. This is such a beautiful blush which comes in seven 'wearable' everyday shades - the blush in the photo is in the shade Ethereal Glow which is a beautiful soft pink. 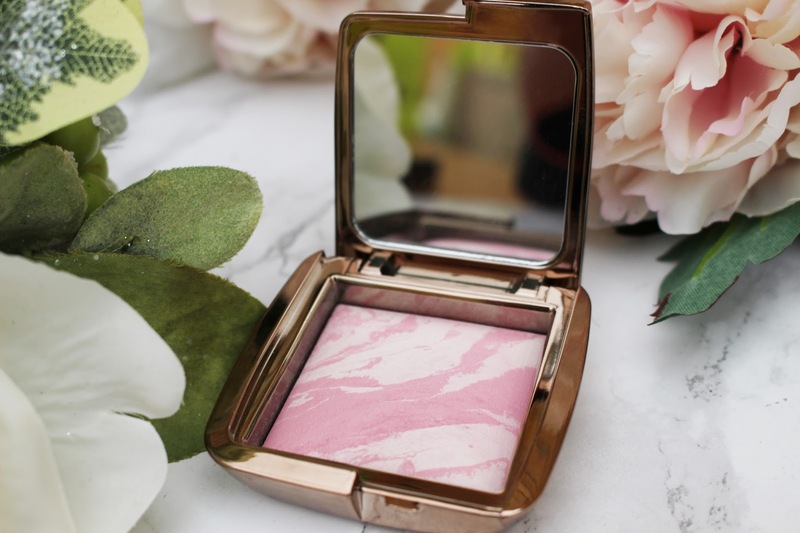 It combines the lighting effects of Hourglass' Ambient Lighting Powders with a spectrum of breathtakingly modern hues to create a beautiful marbled blush. The result is very minimalistic but creates a beautiful seamless, soft-focus look whilst adding a subtle pop of colour to the cheeks! Perfect for creating that natural 'no makeup makeup look'. Any of the shades would work amazing as a gift for Mother's Day but I know that my Mum prefers a more natural blush rather than a bright coral or orange - but I would say that the one in the photo is the most natural and will look great on all skin tones. My Mum and I absolutely love the Hourglass range and I would 100% recommend the Hourglass Ambient Lighting Edit Palette in Surreal Light (which is similar to the Charlotte Tilbury Instant Look In A Palette). Anything from YSL is going to be loved this Mother's Day - yes it is slightly more expensive that some other brands of makeup but all of their products look stunning and are amazing. One of my favourite products from YSL is the Rouge Volupte Shine Lipstick. Not only does the packaging of this lipstick look beautiful but this is one of the most nourishing lipsticks I have ever tried - even my Mum loves it and she normally doesn't like lipsticks usually. The nourishing oils in the lipstick prevents the lips from drying out and leaves a beautiful shine to the lips with a hint of colour. Also who can resist the beautiful gold packaging and the amazing mango scent that each lipstick has. 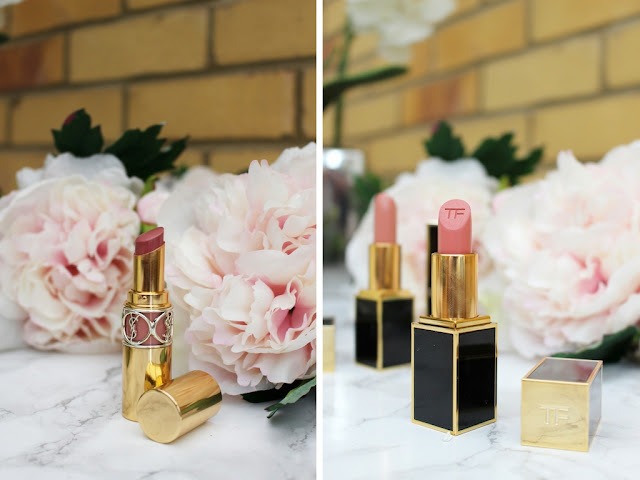 If you want to buy your Mum a lipstick that is 100% luxurious then a Tom Ford Lipstick is a perfect present for this Mother's Day. These are expensive at £40 each but they are the best lipsticks I have ever tried. They are creamy but they do not dry out the lips and is the easiest lipstick to apply. Offered in a wide range of colours, there will be a colour that suits every Mum; whether they love their nudes, pinks, reds or deep crimson shades. No lip liner is needed with these lipsticks as they do not bleed but they still offer a rich and opaque finish that is long lasting as well. If you want to spend a bit more on your Mum this Mother's Day then this is the perfect present for them - especially if they love their lipsticks! 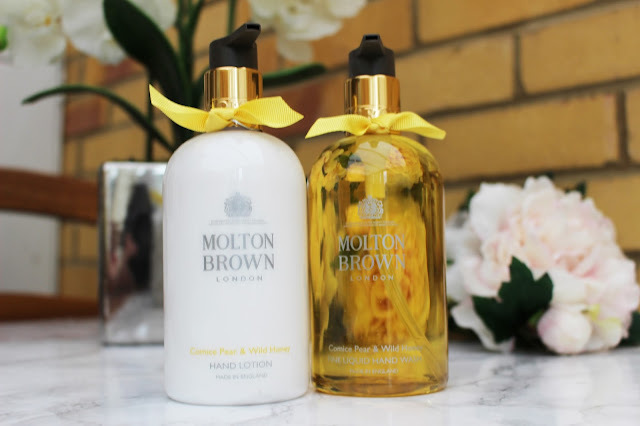 Choosing that perfect fragrance can often be challenging as it is a very personal choice, and there are so many options to choose from with so many different notes to them, but these two scents are the most beautiful scents for any Mum this Mother's Day. 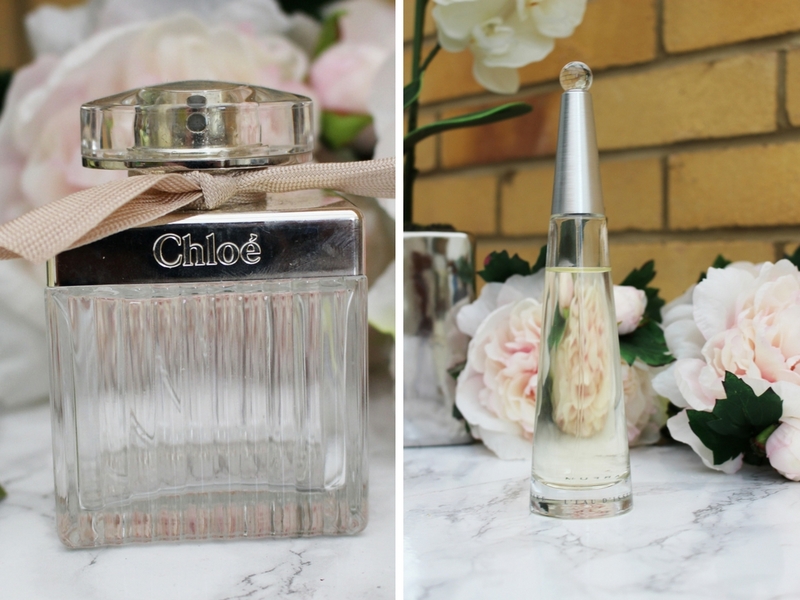 Firstly, Chloe's Eau de Parfum. Probably my favourite scent of all time and the one that my Mum absolutely loves too; capturing the confident individuality of a free spirited woman, Chloe's signature fragrance offers a fresh, feminine and beautiful scent that is loved by everyone. A feminine floral scent without being overly sweet, it is warm, comforting and instantly loveable. With notes of warm amber, honey, cedarwood and an aroma of rose, this is probably the most luxurious smelling perfumes I have ever tried. It also looks beautiful housed in a vintage iconic glass bottle with a silver plated collar - it will look stunning on your Mum's dressing table. I had to include my Mum's all-time favourite scent, which is Issy Miyake's L'Eau de Parfum - this was for a long time the main present of choice every Mother's Day until I decided to buy her a set of Molton Brown products. Capturing a fresh, floral and woody scent with hints of lillies and soft freesia combined with sensual precious woods. This perfume has a fresh floral scent without being too overpowering - making it perfect for Mums who find sweet floral scents too much. This is a signature scent that is completely unforgettable and is strong without being too heavy. 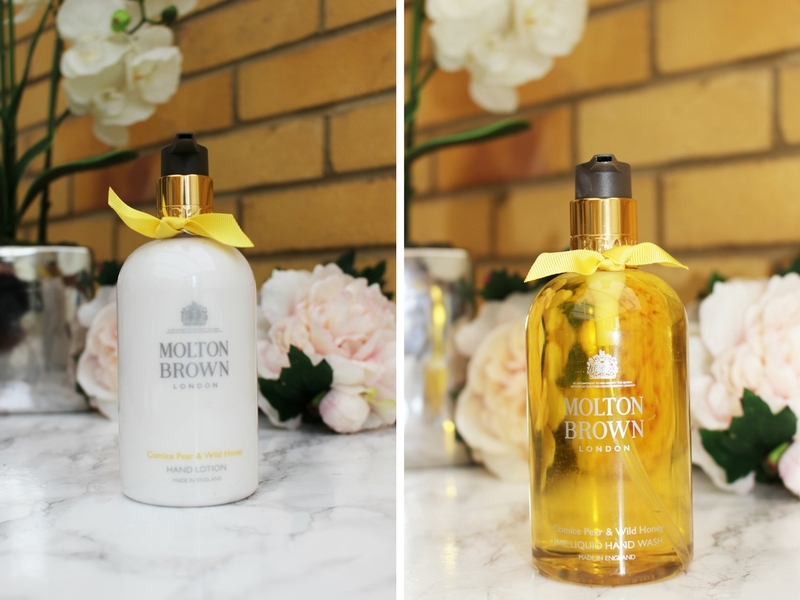 The bottle is simple, elegant and luxurious and will look amazing on a dressing table. I would say this is more of a Spring/Summer scent so is a perfect choice for this Mother's Day. 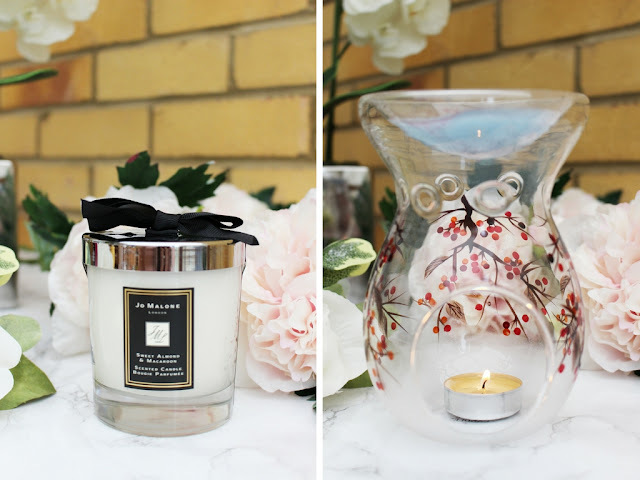 Scented candles are a beautiful touch to any home, and Jo Malone is my go-to brand for those heavenly fragrances at a fairly affordable price tag. Mum and I both love either the Wood Sage & Sea Salt candle or the Sweet Almond & Macaroon candle. The first scent has a very rich and inviting scent of fresh salty air with the woody earthiness of the sage scent. Whereas, the latter scent is a lot sweeter offering a comforting confection of sweet almond and creamy coconut (it smells exactly like marzipan). Lasting around 45 hours of burn time, these candles are and amazing and are under £45 each. Also, how can you resist the packaging of the candle, and the fact it is beautifully presented in Jo Malone's iconic box, tied delicately with the beautiful Jo Malone black ribbon. If your Mum is not into burning larger candles but still loves the scent of candles then the Yankee Candle Wax Melt Warmer is the perfect option for your Mum this Mother's Day. Rather than having to burn a large candle and sticking to one scent for a long period of time, the Wax Burner from Yankee Candle is a great affordable alternative to a larger candle. All your Mum will have to do is place a Wax Melt in the burner and light a tea light underneath which will slowly melt the was and release the scent for around 8 hours. This is perfect for someone who cannot stick to just one scent as they can change the scent regularly and are not just stuck to one particular scent. The Wax Melts will come in most of the scents of the larger candles and is a great affordable option for Mum this Sunday. Peony is one of my favourite companies for faux flowers and they create the most beautiful floral arrangements that I have ever seen. I have them displayed all over the house and people are always astonished to know that they are not real! They offer a whole selection of ready-made arrangements ranging from small to the much larger displays of beautiful flowers. They start from £17 and can become quite expensive at over £200 for a larger arrangement - but there is an arrangement that will suit everyone's style and budget. The one in the photo is one of their larger arrangements so is fairly expensive but I also have the much smaller bouquets that look just as real and only cost between £20 and £50. You can even create your own display and choose your Mum's favourite flowers to create her own bespoke arrangement (that no-one else will have). These are just stunning and will be something that they can keep on display for years knowing they will never die. Another brand that creates beautiful faux flowers is Next and I especially love their Orchid arrangements. I love real Orchids and have a few in the house but the problem is that for most of the year they look like a dead stick, even though they are still alive. 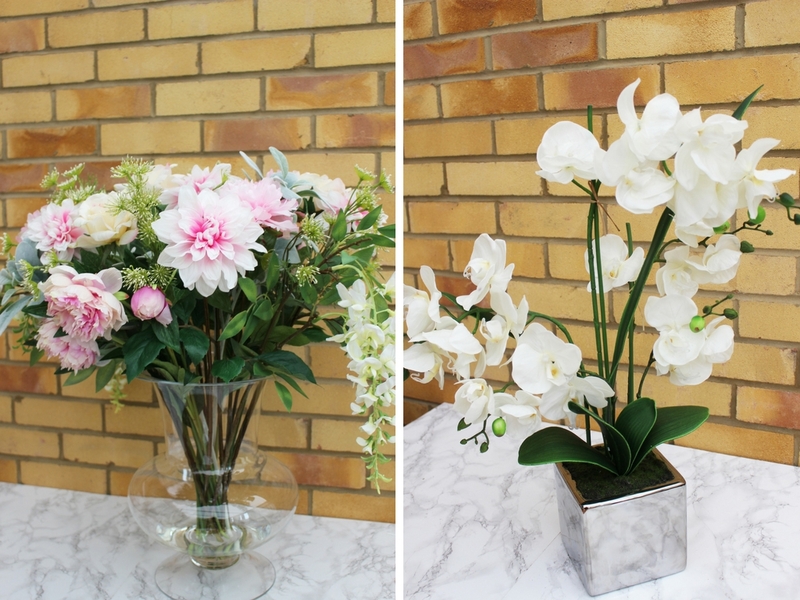 Therefore, a great option to have a flowering Orchid all year is to buy a faux arrangement. If your Mum also loves Orchids but is not very good at looking after plants or they don't want it to look like a stick for most of the year, then these Orchid displays from Next are perfect. No-one would be able to tell that they are not real because they look so simple and I love the fact they have only chosen one colour for the petals. They do come in difference sizes (and the price varies depending on the price, but there is a beautiful arrangement for only £18) - plus they will look beautiful on a side table, coffee table or even in the middle of a dining table. One of the most personal gifts you can give your Mum this Sunday is a beautiful piece of jewellery. It can though often be challenging to find pieces that are elegant and something that your Mum will absolutely love and wear for years to come. There are four brands that I love and have the perfect accessories to give your Mum this Mother's Day. Plus who doesn't love anything Rose Gold - I will always end up buying something if it has even a hint of Rose Gold in it. Firstly, Michael Kors have an amazing selection of affordable yet luxurious accessories! Their watches start from £185 and are definitely one of my favourite brands for watches. 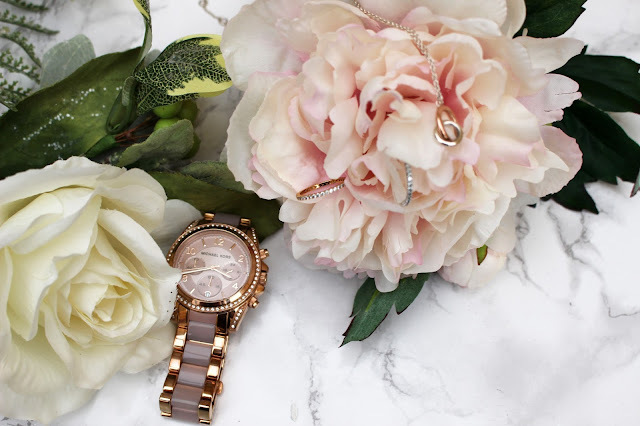 There is something that will suit everyone's style - whether your Mum is into Silver, Gold or Rose Gold or whether they are into having a watch with a more classic design or if they prefer a dial with a bit more bling! Also their jewellery is amazing and I have a pair of Michael Kors earrings that I absolutely love wearing - even though the jewellery is from a well known designer, it is in fact very affordable (with earrings starting from £69; bracelets starting from £69; necklaces starting from £79; and rings starting from £59). Michael Kors offers jewellery that are fairly classic but have a modern twist, whilst still being relatively affordable. Plus all jewellery comes in a little dust bag and in a dark brown leather box which just makes the present look amazing and all you have to do is tie a ribbon round it and gift it to your Mum this Mother's Day. You can also buy Michael Kors jewellery in some jewellers as well so you might find you can buy it in store rather than having to order it online. Carat London is another personal favourite of mine and they have a fabulous selection of affordable, luxurious and elegant accessories that can be treasured by Mums of all ages (whether they are in their 20s or their 80s). They offer modern takes on classic designs and are fairly affordable for the amount of detail that goes into each individual piece. Their rings start from £66; their bracelets start from £127; their necklaces start from £88; and their earrings start from £45. I have owned a bracelet in the past from Carat London and they feature brilliant cut stones which catch the light in such an elegant way, and a lot of the jewellery will have adjustable chains to give your Mum the most comfortable fit - meaning it can be worn straight away without the need to take it to a jewellers to adjust the size first. As well as having jewellery in Rose Gold, Carat London have pieces of jewellery in Yellow Gold, White Gold and Sterling Silver - so there will be something for every Mum's style! Another one of my favourite watch brands is Olivia Burton, who creates beautiful watches perfect for every occasion and every age. For Mother's Day there are two gift sets which offer a beautiful watch and a bracelet for £190 and £220 - these are great value and come in a gorgeous box so all you have to do is tie a ribbon round and you are ready to gift your watch. These watches are simple but stunning at the same time and always look so elegant on the wrist - you will have seen so many YouTubers talking about this brand at one point in their videos. Olivia Burton watches start from £70 making it the most perfect, affordable and luxurious watches you can gift this Sunday! Coming in a range of beautiful coloured leather straps and a variety of unique and interesting dials, there is a design that everyone will love. You can choose between the more classic dials or there are the dials that are more unique with pretty floral patterns and even moulded flowers and bees on the dial. These are just so beautiful and make great presents for this Mother's Day. The final jewellery brand that is affordable and offers a bit of luxury is Swarovski. Some of the pieces of jewellery will not be to everybody's taste but there are some pieces that are absolutely elegant and are truly affordable. One of my favourite pieces from the brand are the rings in the photo which are the Vittore Rings in Rose Gold and Sterling Silver - these are just so elegant and are in a beautiful eternity band, making them perfect for all ages. These will make beautiful gifts for your Mum as they are so simple and elegant, plus they are affordable at only £49 each. The stones in any Swarovski piece always catch the light beautifully and look stunning for everyday wear or for a special occasion. If you don't want to buy a piece of jewellery for Mum this Mother's Day, then why not add a touch of rose gold to her beauty routine with some beautiful brushes? 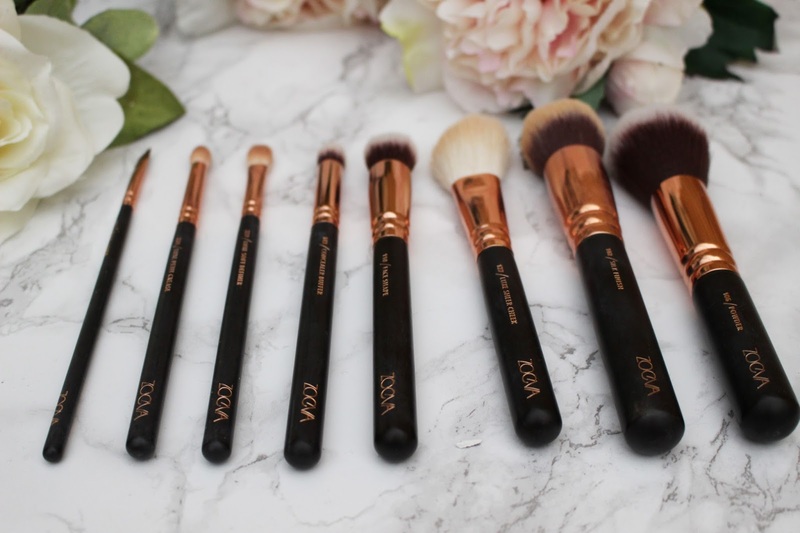 I think it is safe to say that all of us Beauty Bloggers and YouTubers are obsessed with the Zoeva Rose Golden Brushes - each set coming with eight gorgeous brushes. How could we not be obsessed with these brushes though? They are absolutely beautiful. So why not gift a set of these amazing brushes to your Mum this Sunday? They're probably the best and most beautiful brushes I have ever owned (and I am definitely going to buy my Mum some at some point). They are so easy to look after, long lasting and make makeup application seamless - plus they will look gorgeous on your Mum's dressing table too! 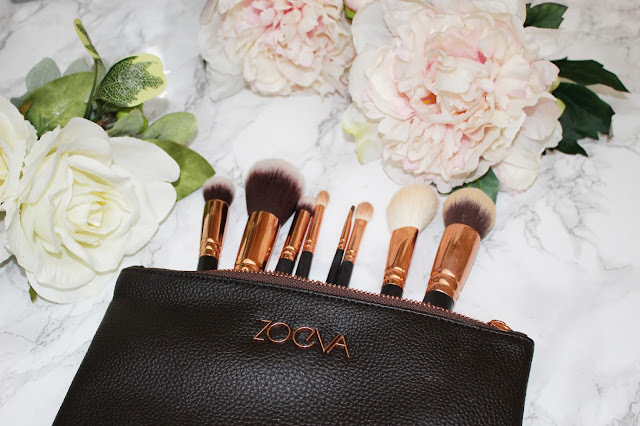 A set of Zoeva brushes is the best in terms of value for money (plus they come in a really handy case to keep them in, which is perfect for travelling), but you can also pick and choose the brushes that your Mum will use frequently to give her a bespoke brush set that she will love and treasure! If you want to buy your Mum something that they will truly love and you want to spend a bit more money on them, then these luxury gifts will be the perfect presents for them this Mother's Day! 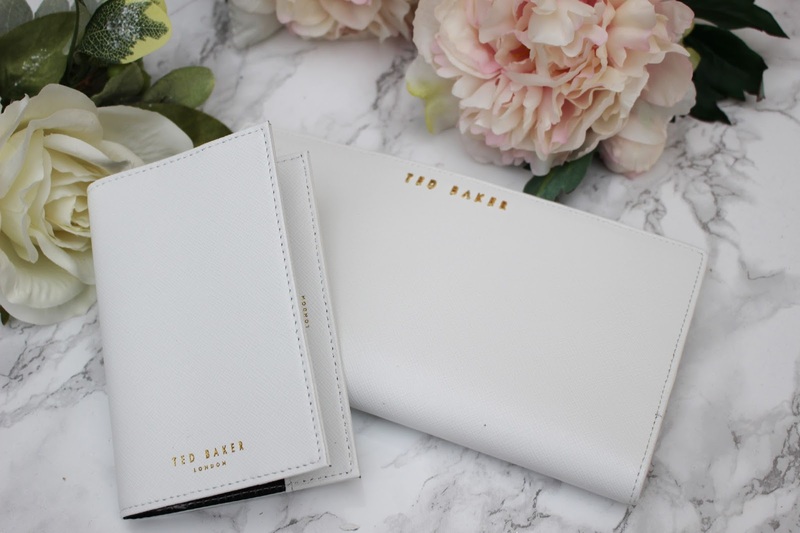 For any Mum who loves to travel and who loves their luxurious brands will absolutely adore this Ted Baker Suitcase and it will be a must-have present this Mother's Day. Ted Baker luggage starts from £99 for a leather holdall - however I know some people will want to know how much the suitcase is in the photo and they start from £225 (therefore it is more of an investment piece but if you want to spoil your Mum then they are great presents). These make great suitcases for travelling on holiday as they are easy to push them through the airport (as they have four wheels so you can push the suitcase along rather than having to drag it behind you). Plus they have TSA approved locks meaning you can travel with your suitcase completely secure and locked, and the airport security will still be able to get into the case if they need to as they will have the master key that will fit the lock. Also they look absolutely stunning and you will definitely be able to find your suitcase easily when they are coming off the plane and you need to collect them. The suitcases I have are in the Gem Gardens print, which is absolutely stunning. They do have other prints including a beautiful cherry blossom pink print which looks stunning but I thought the Gem Gardens print just looked amazing and wasn't too girly - also they look even better than in the photos. Also who doesn't love the fact that the handle and the wheels are in rose gold - a serious selling point for me! 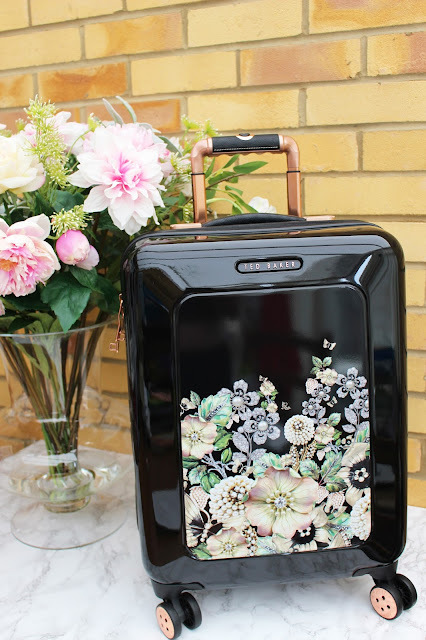 But these suitcases are really sturdy and are surprisingly roomy and can fit a lot of clothes (the one in the photo is the smallest size they sell, but there is a medium and larger size as well). They are just amazing quality plus they look and feel so luxurious! If you don't want to spend so much on a suitcase from Ted Baker but would still like to get your Mum something that is travel-related, then the Ted Baker Leather Travel Wallets are a slightly more affordable option to choose and still looks elegant, beautiful and luxurious. These are so handy for travelling as they keep all of the most important documents in one place - rather than having them all loose in your handbag or in a clear plastic wallet that does not look as pretty. Offering a modern twist on the travel document holder, these wallets looks stunning and are the perfect accessory for any avid travelling Mum out there - offering a compartment for her passport, boarding passes, documents, cards and so much more. These are just beautiful and definitely a practical gift for this Mother's Day if you know your Mum is going on holiday this year. 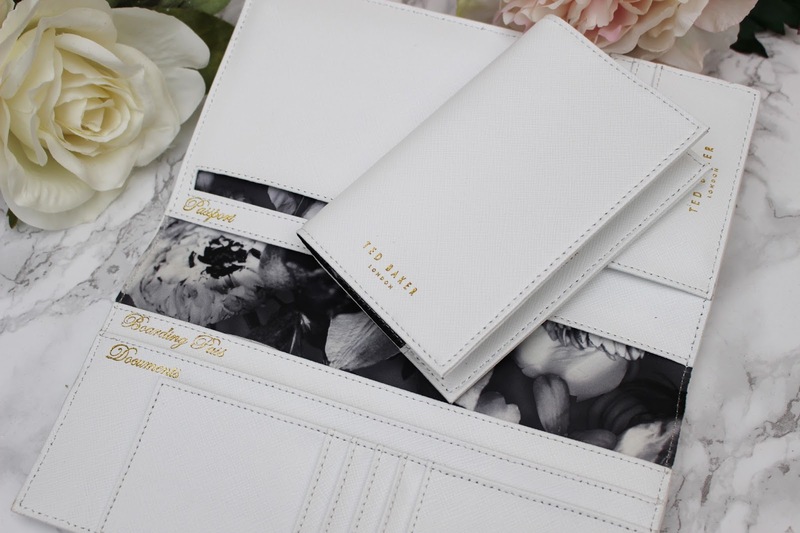 Cath Kidston also do some beautiful travel wallets and they are a more affordable option in comparison to Ted Baker and look just as beautiful. I think travel wallets are an essential part of travelling now but is not something you will buy yourself, so why not spend a bit more and get your Mum an amazing travel wallet for her travels this year. They do not have the white version in stock but they have a beautiful china blue print and a pink version. If your Mum is into keeping her skin looking perfect and flawless or if you know that your Mum wants to get into skincare, then the Clarisonic Mia 2 Cleansing Brush is a great present to give this Mother's Day. Coming in three shades (white, pink and grey) this cleansing brush will take your Mum's skincare routine to a whole new level. My Mum personally swears by the Clarisonic Mia 2 for keeping her skin looking radiant and clear. 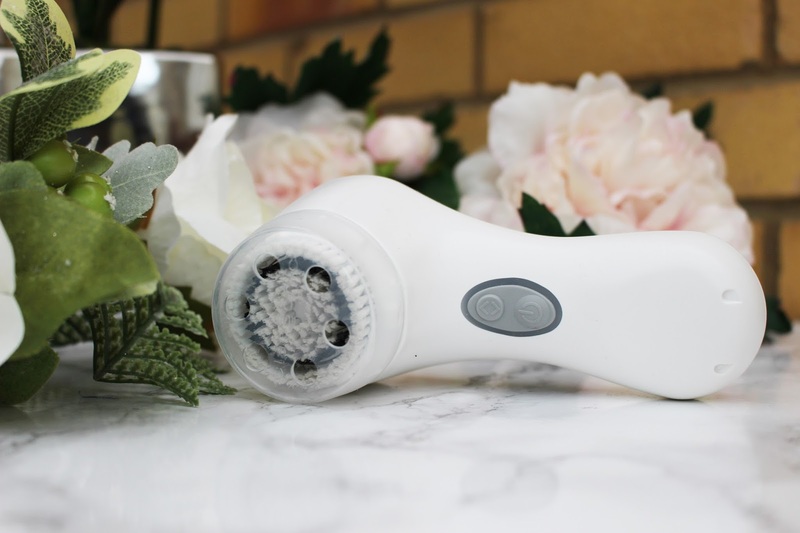 In just 60 seconds, the cleansing brush can remove six times more makeup and dirt than regular cleansing - therefore making something as tiring as cleansing so much simpler. It offers a gentle cleansing and can be used by any skin type - it does not matter whether your Mum has dry, oily, normal or sensitive skin. A rather pricey gift for Mother's Day this year (but is something that both my Mum and I cannot live without now) is the Dyson Supersonic Hairdryer. This is a pricey present at just under £300 but if you really want to spoil your Mum this Sunday then it makes the perfect gift. 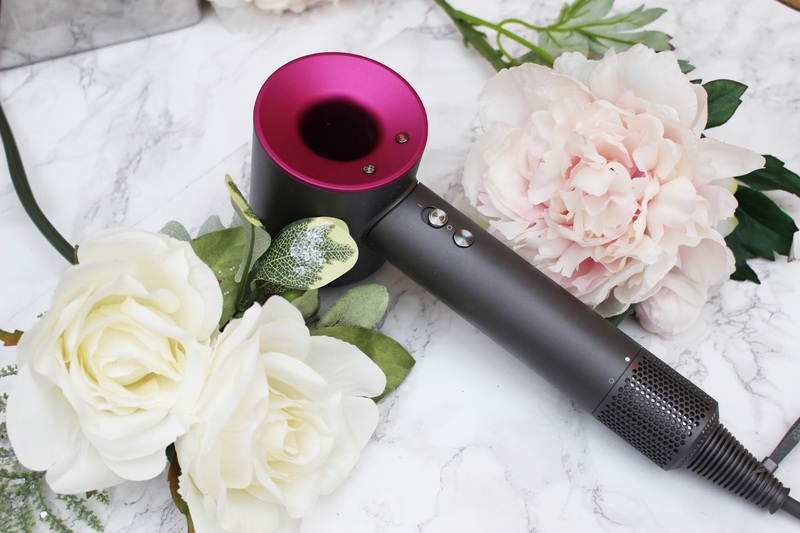 This will revolutionise the way your Mum dries her hair - with its bladeless technology the Supersonic hairdryer will halve the amount of time your Mum spends drying her hair right now. This really does work and I cannot live without it since I bought it for myself a couple of months ago (it now takes me 15 minutes to dry my hair, whereas in the past it would take me 30-40 minutes). It also comes with a smoothing nozzle, styling concentrator and diffuser to help create the perfect look. Once your Mum tried this hairdryer she will never think about using another hairdryer again! Physical presents are always great on Mother's Day and sometimes it can be something that your Mum can treasure, but often one of the most memorable gifts you can give someone is an experience - especially if it is something you and your Mum can do together. There are so many experience packages available, whether it is afternoon tea or a pampering day at a spa. However, you could easily create your own experience by taking your Mum out shopping, taking her to her favourite restaurant or even creating your own spa package. Experiences like these are often treasured more and are more memorable as it is something you can experience together. I have listed two of the experiences that I would love to do with my Mum this Mother's Day and may give your some inspiration for this year! Whether you have a Mum who is a professional baker and would enjoy picking up some tips and tricks from the icing experts behind some of the most exquisite biscuits I have ever seen, or whether they are a baking novice wanting to learn some of the basics - an afternoon tea at Biscuiteers is an enjoyable way to spend time with each other. While the two of you sip tea and have a good catch up, the icing experts at Biscuiteers will show you different techniques and give you tricks of the trade to help you retreat their stunning designs on their delicious biscuits. Classes last approximately two hours and can be done either at Northcote Road or at the Notting Hill boutique. Once the class has finished they will pack your hand decorated biscuits into one of their tins - definitely something you can enjoy with your Mum when you are back home (if you can wait that long!). Biscuiteers is even offering a lesson this Mother's Day where you will learn to ice their new Mother's Day Bouquet collection - inspired by wild flowers! Definitely a twist on a normal bunch of flowers, and they are edible! You can easily book onto the class by heading to the Biscuiteers Website. One of the best gifts that any Mum will love is a pampering day at a spa - think about that one time where you have made your Mum really stressed, and therefore what better way to relieve that stress than taking them to a spa to enjoy a massage and a facial. Plus it is something that the two of you can experience and enjoy together. There are so many options when it comes to spa days, and it is so hard to know which spa to take your Mum to without having a personal recommendation. So it is always a good idea to research local spas to see which ones have the best reviews. You don't even have to book the spa yet and can make them little homemade voucher which says you will take them to a spa at a later date to enjoy some relaxation! If you don't want a whole spa day, then another great option is to treat your Mum to a facial. The place I would 100% recommend is the Aveda Salon in London - you wouldn't think there would be a relaxing salon where you can enjoy a peaceful facial under the bustling streets of London above. The treatments use plant-based rituals which they have become well loved for. The facials can also be customised depending on your skin needs, but whichever option you opt for you are sure to leave feeling invigorated and fully relaxed. What better way to treat your Mum than to gift her an hour or so of relaxation and absolute bliss! Will you be treating your Mum to any of these luxury gifts this Sunday and what are your plans to treat your Mum this Mother's Day?